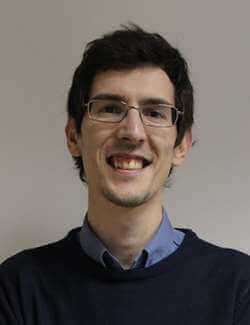 With a Degree in Administrative Assistance and Translation, followed by a Masters Study in Specialized Translation and Interpreting at ISCAP, Porto, Tiago became a professional freelance translator in 2009. From then on, he got to know some of the different roles played by a professional translator within the market: freelancer, in-house and project manager. He has been a freelancing translator and project manager, an in-house translator at Jocopi Unipessoal and a project manager at SMARTIDIOM. Through these different positions, Tiago has been in touch with important markets, such as the Automotive, Oil & Gas and Renewable Energies, and has seen the workflow from translation to localization, interpreting, voiceover, transcreation and copywriting. 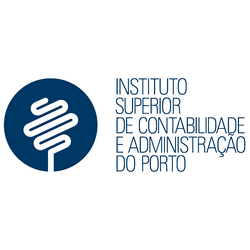 Having first worked at SMARTIDIOM in 2012-2013, as a Project Manager, Tiago is currently the Director of Operations at SMARTIDIOM IT, the recent sister company which opened its doors in the city of Porto. He is currently Key Account Manager for international LSP and for national small and medium-sized enterprises, which provides him a very different perspective regarding the divergent needs from one type of client to another. With this presentation, SMARTIDIOM aims to portray itself, state a small briefing regarding its foundation, and present how it sees the market. We also look to provide insight on an LSP company’s perspective regarding its freelancing partners: how we position them within SMARTIDIOM and how/why we value them. From our own business know-how, we look to provide reasons why a freelancer may benefit from working with a LSP company, how a freelancer can obtain more and better projects, and how they can earn the Project Manager’s trust. We will also share real case scenarios of good and bad job proposals from freelancing parties, what measures does SMARTIDIOM undertake to better interact with freelancers and what we recommend you to do when applying for a partnership. Additionally, we will expose the requirements we ask our freelancing partners to fulfill and why we require them. Lastly, we will share real case scenarios of partnerships gone wrong and right, and share a glimpse of our evaluation system, including the main reasons why we may lose confidence on a partner. All the information is positioned from a personal viewpoint based on SMARTIDIOM’s experience and valuation, taken from its Management and Project Managers’ expertise.